An amazing opportunity has arisen for a talented Chef de Partie to join the team at this deluxe country house hotel and award winning restaurant. The property is part of a small high end group of hotels that has built a superb reputation for the high standard of the guest rooms, customer service and Michelin standard cooking. The Head Chef is looking for somebody with previous experience of cooking with all fresh ingredients ideally with Rosette or Michelin experience. As Chef de Partie you will be working as part of a team, part of your duties will be to assist with a variety of daily tasks this will include organising and running a section during service. This property offers you real career progression allowing you to develop your skills as a chef enhancing your current skills to develop into a good all-rounder. Temporary live in / accommodation may be available if required to allow somebody to relocate but applicant will need to live in the Winchester or Stockbridge area with their own transport. 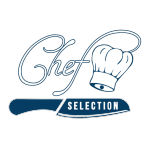 If you are looking for a fresh challenge as a Chef de Partie then please contact Steve Coggins quoting Reference number CS4360. To apply for the position you must be legally able to work in the UK/EU and be able to attend a working interview within the next 7-10 days. To apply for this job email your details to steve@chef-selection.co.uk.